Why You Need To Use Canva As a New Blogger + Beginner Designer — Lissa Rose Co.
Home About Dear Reader Freebie Library Blog Already a member? Disclaimer: There are no affiliate links in this post, which means I am by no means being sponsored by Canva to write this, and I will receive nothing from them if you sign up using my link. This is all just my genuine love for the site that I really want to share with you guys. 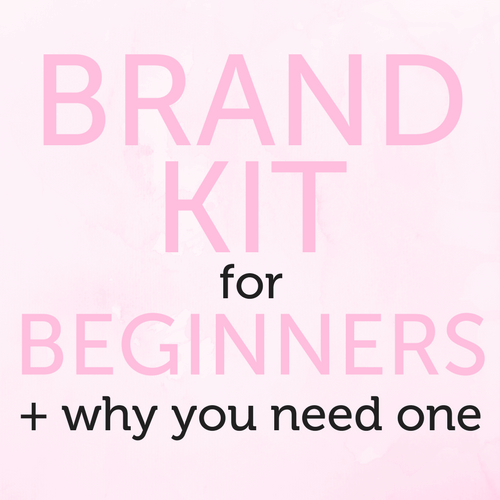 I’m starting this post hoping you already know what Canva is. If you do, thank goodness because it’s way too valuable not to know about. Let’s get on with it..
Canva is a simple graphic design website and it is the best free resource available to you as a beginner. If you’re not signed up already, do yourself the favor and..sign up! With Canva, you can create eye-catching, convert-worthy designs in no time and with very little skills. You can create posts for Pinterest, Facebook, Instagram, Twitter, and you never even have to guess what size will work best because Canva has a beautiful little dashboard full of optimal-sized templates for each of these platforms. Inside the workstation, there’s a panel on the left side (see below) which offers tons of elements for you to use. There are things like shapes, backgrounds, icons, illustrations, free stock images, etc. Shown in the left-side panel are just some of the free layouts Canva offers for blog graphics. I chose the "Say Thanks" layout just as an example to show you guys. See how easy it was to change the colors of the graphic to match my brand? I also changed the headings to match my font. Canva makes everything so easy! And for bloggers like you, Canva makes it even easier to create all your marketing materials like your logo, social sharing button, favicon, graphics, etc. by allowing you to duplicate designs and reuse the same elements. Canva literally is so simple to use that it’s hard to make a bad design. I used it for only about a month before I committed and upgraded to their paid subscription. It’s $120 a year, and since I use it every single day, I’m pleased to say it’s worth every penny. Being a paid user, I’ve been able to unlock their best features like saving my own templates, customizing a brand kit, and uploading my own fonts. Honestly, having my brand kit saved was worth the upgrade alone. For every single design, I know I’m staying consistent with the same color scheme (exactly #f18d9d for pink) and I’m never slightly off. I’ve also been able to upload the fonts, Museo and Museo Sans, which is what I use here and across all my designs. Basically Canva has made it possible for me to create cohesive, professional graphics, and I’d be totally lost without it. It is, hands down, the best resource out there for beginners and it will change the way you blog. If you don’t use Canva, what do you use? I’d love to know! You should sign up. There's a lot more like it comin'. Sweet! There's an email headed your way right now for you to confirm. And hey, I'm so glad to have you. Thanks for signing up.